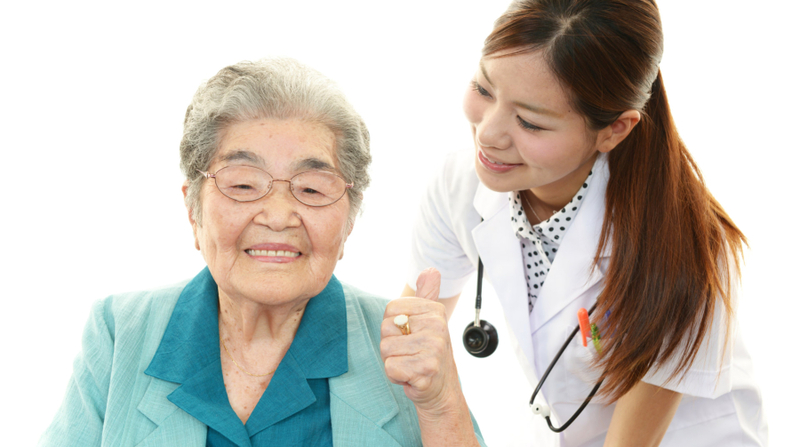 How Assistance Can Help Your Elders with Eye Problems | West Coast Nursing Ventura, Inc. Aging is one inevitable condition that we all are going to face. Yes, some master the art of slowing it down, other rush downhill; nevertheless, we still age. Aging has somehow carried a stigma because of its natural ability to debilitate one’s body. One of which we will discuss today is our sense of sight. Our sense of sight is probably the most coveted sense in all of the senses. West Coast Nursing Ventura, Inc., a trusted provider of home health care in Hillcrest Drive Thousand Oaks CA, believes in the importance of one’s eye health. We aim to provide all the necessary essentials for your elderly loved ones today so we are sharing practical ideas that we believe you should know regarding your elderly loved ones eye condition. These are possibilities that you might get along the way so let’s get started! The lighting around the house affects one’s vision. Make sure there is good lighting around the house at night. This could help them find places that they want to go to around the house. During the day until the afternoon, gradually adjust the lighting to ease their eyes into the light. There’s a reason why there’s an afternoon between night and day, so that people can adjust their senses. You can ask your in-home care provider to adjust the lighting whenever your elderly loved ones are at home. Make sure there are night lights to guide them along high traffic areas. If you are a family caregiver on-duty, you can also guide your elderly loved ones to places that have less light for safety. A daily routine could really ease the burden. In-home care providers agree that once the senior is accustomed to a daily routine, it is often easier for them to manage their conditions and desires. They might not remember every single detail but somehow, the mind, body, and heart remember what to do. If your elders are struggling with their eyesight, a daily routine could help them do everything they want to do without stress. In-home caregivers are trained to help them in the house in terms of mobility and activity. People who are having the onset of an eye condition may still be able to reverse the effects once they get on their healthy lifestyle back. This is greatly possible for anyone who also has the will to be better. Appropriate size and color for labels and prints are less stressful. For people who have problems with size, know if they want the fonts big or small. Their telephones, clocks, and watches should have large numbers too. Large-print labels are best for people with eye problems. If they have problems with colors, they should be able to have choices in which color they want for their things so that their homes would be very comfortable for them to stay at. Mobility aids will always be helpful wherever they go. Whether they have normal vision loss or eyesight disorders, they should not stop from walking around or from staying active. They can still enjoy their lives even with an impaired sight. As aforementioned, a healthy lifestyle can really affect one’s diet, mood, and way of thinking which all have repercussions to physiological processes in the body that could greatly make room for possibilities of withdrawing the effects of age-related vision loss. Smoking is a big NO-NO. If your elders do not want to lose their sight further, smoking should be withdrawn from one’s lifestyle. This is one part of the healthy living that healthcare providers want to happen among elders who are used to smoking. We all know how dangerous it can be to our bodies; hence, reduce or stop smoking as fast as you can. Giving them therapies and rehabilitative activities would be very helpful for their health. This should go along well with their medications and in the overall withdrawal plan. It is never too late to stop smoking! Find relief for your elders from all the problems that vision loss could possibly bring on the table. Call West Coast Nursing Ventura, Inc., a reliable source of home health care in Hillcrest Drive Thousand Oaks CA, today! This entry was posted in Home Health Care and tagged Home Health, Physical Therapy, Speech Therapy. Bookmark the permalink.